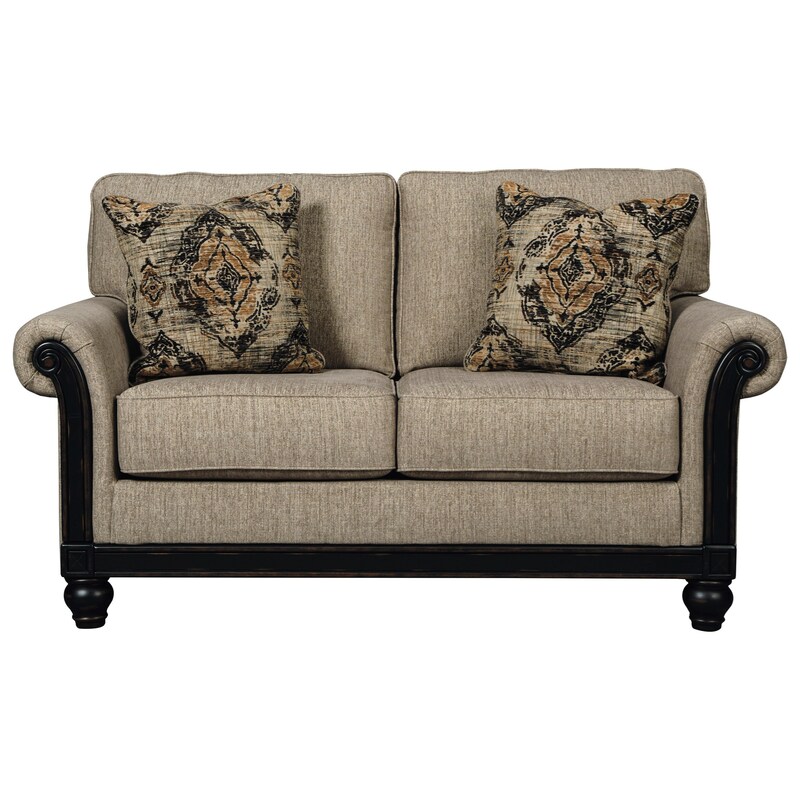 Gently distressed dark showood trim at the front the rolled arms and along the base rail contrast beautifully with the taupe fabric on this loveseat. Two accent pillows with a vintage-inspired medallion pattern on one side and turned feet complete the loveseat. 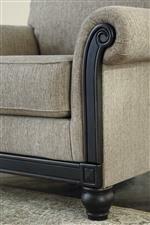 It offers classic style to your home, while easily fitting into modern lifestyles. The Blackwood Transitional Loveseat with Showood Trim in Dark Finish by Signature Design by Ashley at Michael's Furniture Warehouse in the San Fernando & Los Angeles area. Product availability may vary. Contact us for the most current availability on this product.